Critical to Quality specifications are an odd duck. They’re one of the few things in business that’s more an art than a science, and a lot of it comes down to thinking things through logically to best translate a customer’s words (which may be too vague or inaccurate) to their wants and needs. Essentially, Critical to Quality outputs (CTQs, from here on) are things that are necessary (or perceived as necessary) for a product or service to be considered “good”. 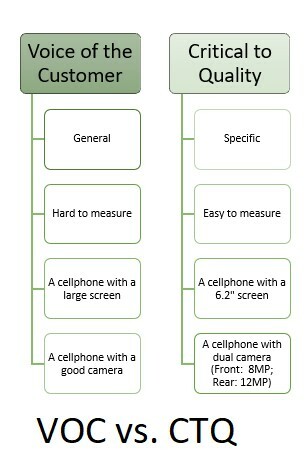 These CTQs may change over time as the type of product evolves, so be sure to keep that in mind. 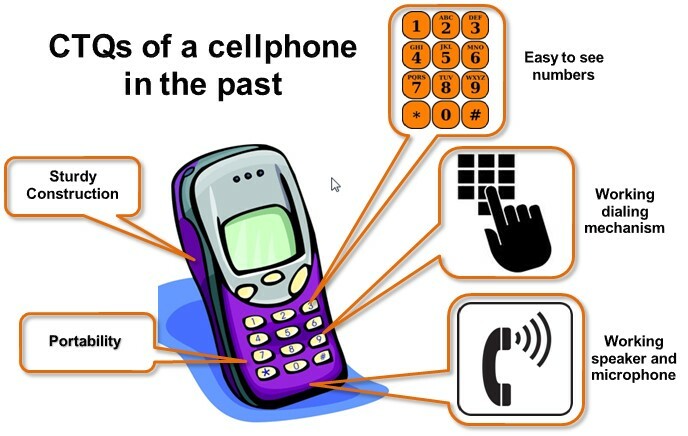 As an example of what I mean, let’s look at cell phones. As time went on, however, every single one of those (including the former exciters) became Critical to Quality features. A phone with a small screen and no camera or internet capability in this day and age is no longer considered a “good” phone. Therefore, a customer may say to you “I want you to develop a good phone for my company” (or “A phone better than my competitor’s phone”) and you have a basic outline of what you need to brainstorm to make that happen. Deeper than that, however, you must begin breaking down those vague statements into something more qualitative. For example, what is a “large” screen? 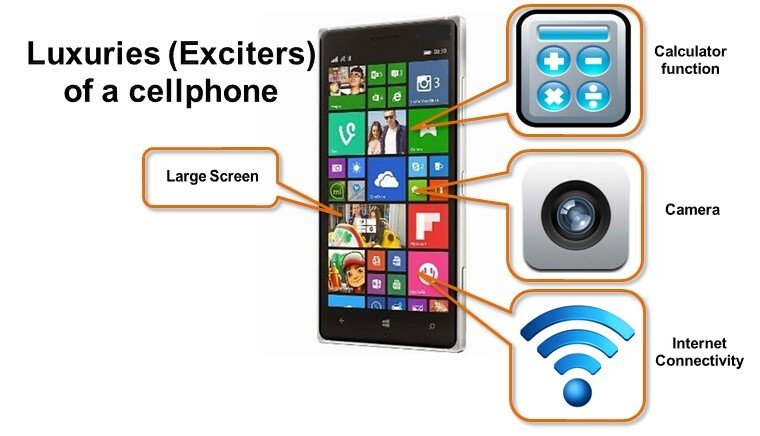 Generally speaking, that would be a screen that is larger than the average screen on the market. If the average screen is 9 inches long by 5 inches wide, then a large screen must by necessity be larger than that. But to go even deeper, you should then look at what is considered to be too large as well to get a true range. If a screen that is 13 inches long and 8 inches wide is considered too large, then you know you want your phone’s screen to fall somewhere between 10 and 12 inches long, and 6 and 7 inches wide to be considered “large, but not too large”. This idea extrapolates to any given feature; it is your job to take the vague wants of the customer and translate them to concrete, deliverable goals to arrow down your design. This principle applies to any product or service you could imagine, whether you’re designing it internally for your own use (where the job becomes easier because you already have a good idea of your own CTQs) or are being approached by an external party to design something for their use. Previous post: What is Autonomous Maintenance? Next post: What is Overall Equipment Effectiveness (OEE)?